In this episode, we’ll hear the tragic, and fortuitous building story of Hilarie’s award winning home, Tiny Hell on Wheels. Like many novice builders, Hilarie bought a trailer thinking that she’d be able to build her own tiny without any outside help. But reality set in, and the build ended up taking three years. I’m glad Hilarie persevered, because her house is one of a kind, full of personality and spirit. But, if you ever get to see Tiny Hell on Wheels, the real star of the show is Crusher the Mini Pig, Hilarie’s pet/life companion that she adopted soon after finishing her house. Stick around to find out what it’s like to live with a mini pig in a tiny house! 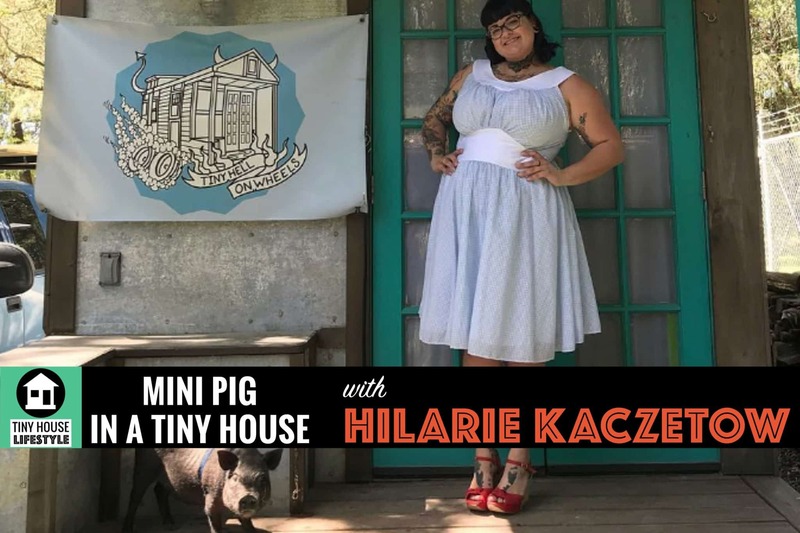 What’s it like living with a mini pig in a tiny house? How is the gas mileage in a THOW? What happens when your truck breaks down and you call AAA to tow you and your tiny house? Why Milennials love tiny houses.